If you feel you would like to volunteer and contribute to making our school even better, please don't hesitate get in touch. Our Parent-Teacher Organization's goal is to enrich the school community. We are currently using a project-based model for PTO involvement. Volunteers work in small teams, reporting to the PTO leadership for guidance and help. 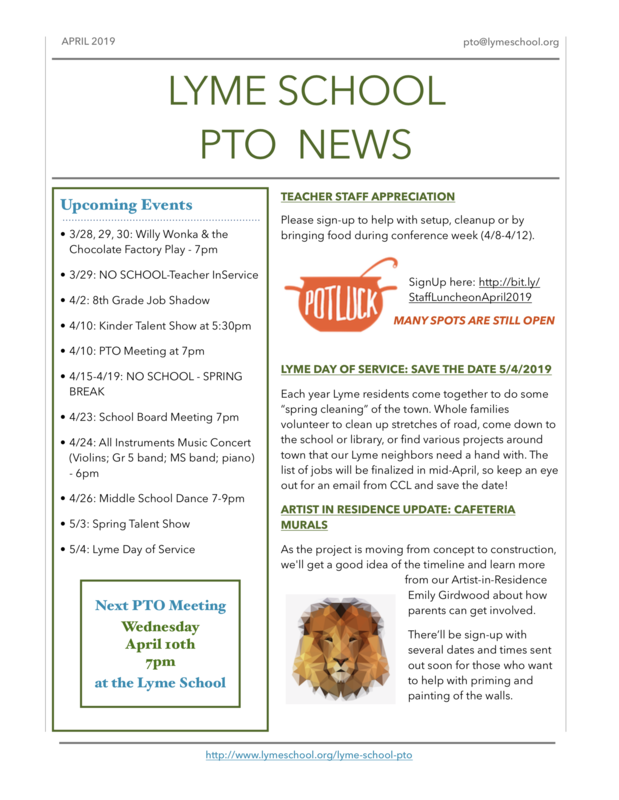 Parents and teachers who would like to help with annual events, programs, and fundraisers are encouraged to send us an email to find out more. Meetings take place monthly on the third Wednesday of the month. Below is a list of some of the regular activities. TO SUPPORT THE SCHOOL COMMUNITY THROUGH ENGAGED INVOLVEMENT AND TO RAISE FUNDS FOR PROGRAMS THAT ENRICH THE STUDENT EXPERIENCE IN A WAY THAT REMAINS FUN AND SUSTAINABLE FOR ALL INVOLVED. Ice-Cream Social (late August) and the — An early evening event to welcome new families and celebrate the start of the new school year. First Day Welcome Breakfast (August) — breakfast specifically geared to Kinder parents, but all are welcome to join in first day jitters and joys. Jingle and Mingle (December)--Music, mingling and holiday shopping. Children can buy low cost gifts and wrap them for the holidays for family and friends. Trivia Night (January)—A fundraiser for the Artist-in-Residence Program (see below) and also a forum for classes to auction items in order to raise funds to offset the cost of each grade’s trip to Washington DC, when they reach 8th grade. 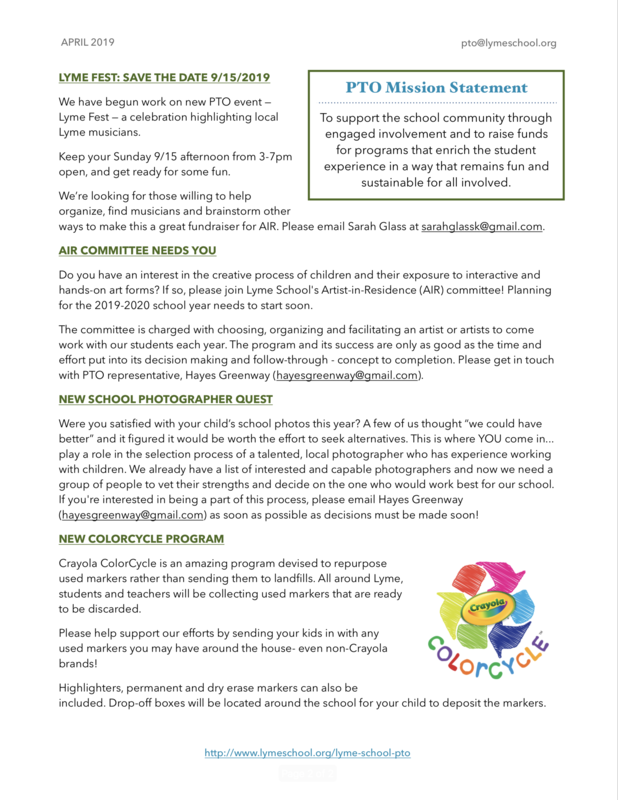 The School Directory (August-September)—A team updates a printed booklet, which contains students’ and parents’ names, addresses, and contact details. Copies of the directory are then sold for a small fee as a fundraiser for school programs. The Artist-in-Residence Program — The PTO arranges for an artist (either visual, musical, or movement) to visit and work with students of all grades, K-8. This hands-on program brings expertise from sources outside the school to engage all of our students. Box Tops for Education (October, February & May)—A team works together to coordinate collection, counting, and submission of box top vouchers, which are cut from participating-brand packages that school families may have bought. Spirit Wear (ongoing)—A team works to create an item that will encourage school spirit, works with a supplier/maker to create the items, and sells the items. Proceeds support AIR and other PTO initiatives. Playground and Gardens--Three work days are organized (Fall, Spring, Summer) to tackle any playground or garden projects. This ranges from repairing and building to pruning and planting. Volunteers are always needed to help, as many hands make light work. Work is ongoing throughout the year as issues arise, but the majority of the work is done on the larger community work days.